The Daily Post asks: Is there “junk” in your life? What kind? How do you get rid of it? Fortunately, my desk (and more or less fortunately my mind) does not have this problem. I’m probably a pile or two on the floor away from being an episode on Hoarders. Does that mean I’m also that close to needing a lobotomy? How do I get rid of it? Short of a house fire? I might need that. If I throw something away, I invariably need it almost as soon as it is gone. There’s probably a thermodynamic law of physics to explain that, but I can’t remember which one it is. I have it written down someplace. Under that pile on the desk would be the best bet. 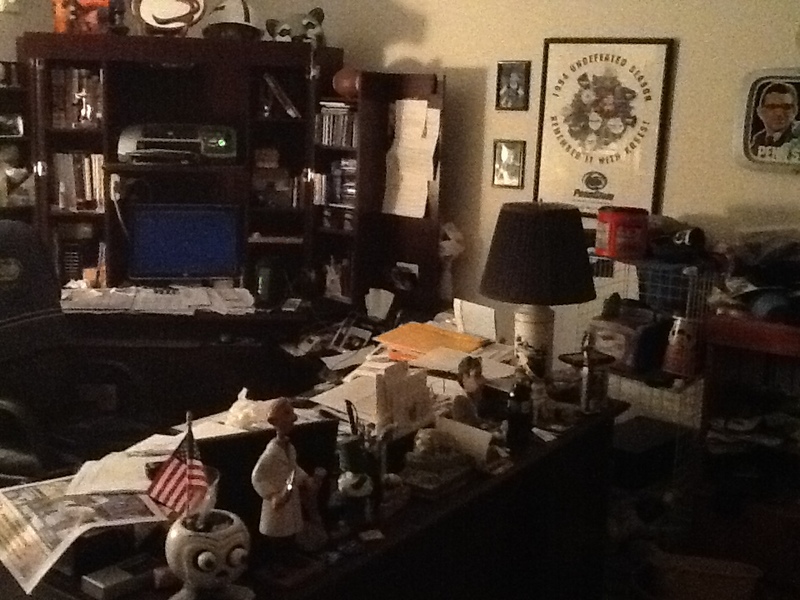 Eventually, age and the pressure from the clutter on top will convert the junk into oil at the bottom. Or maybe diamond. Until then, my wife keeps the office door closed. Cluttered desk. Cluttered mind. Out of sight. Out of mind. Or maybe just out of my mind.